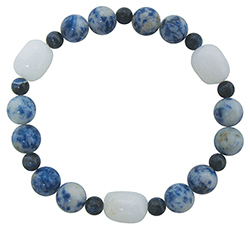 Item #DLL-SQS-BSB-4: 10mm round Denim Lapis Lazuli bead stretch bracelet with barrel shape Snow Quartz & 6mm round Sodalite beads. 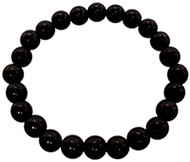 Fits 7"-8" wrist. 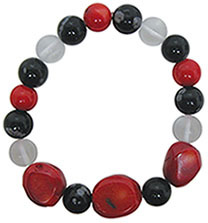 Item #GBB-10: Lot of ten power bead bracelets. 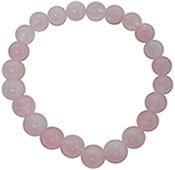 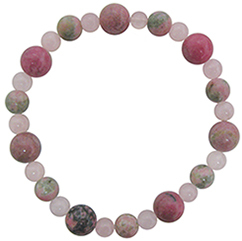 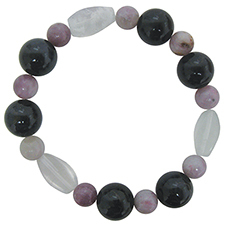 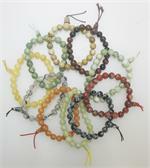 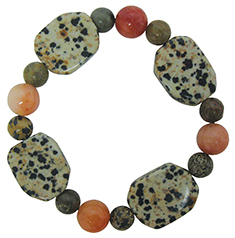 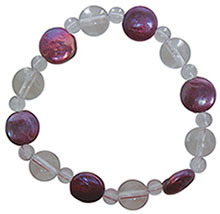 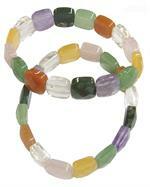 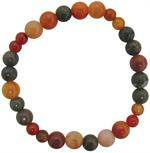 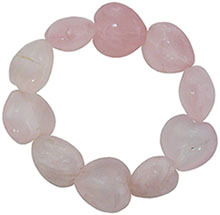 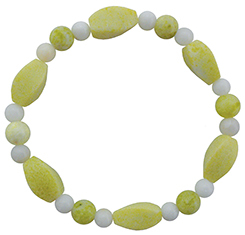 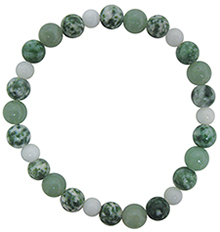 Each bracelet consists of 8mm Round gemstone beads on matching color elastic cord. 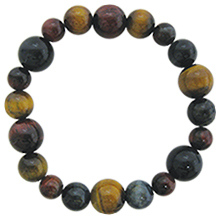 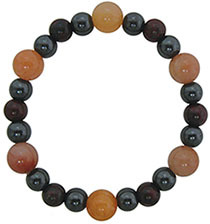 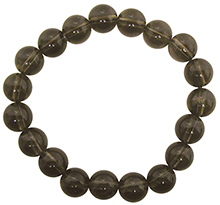 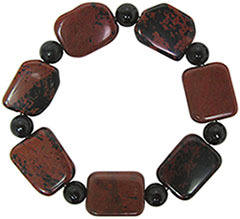 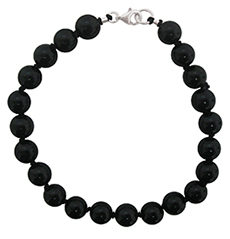 Item #MHG-BSB-5: 16x22mm cushion Mahogany Obsidian bead stretch bracelet with and 8mm round Black Stone beads. 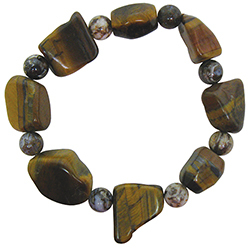 Fits 7"-8" wrist. 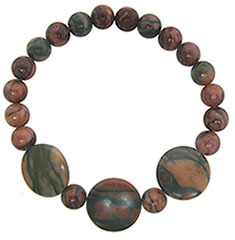 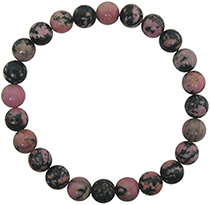 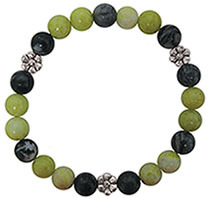 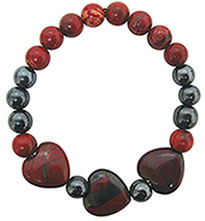 Item #SRP-BPJ-BSB-5: 8mm round Serpentine & Black Picasso Jasper bead stretch bracelet with Pewter flower beads. 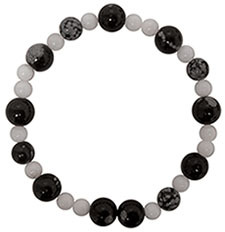 Fits 7"-8" wrist. 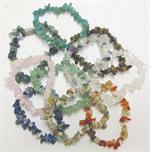 Item #BE-160: 12mm Tourmaline bead stretch bracelet of assorted colors and shapes. 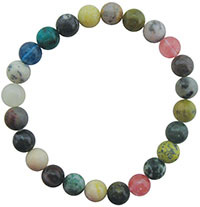 Average 2.25" diameter. 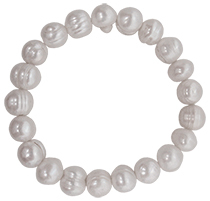 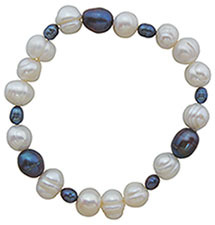 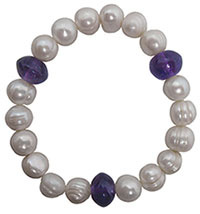 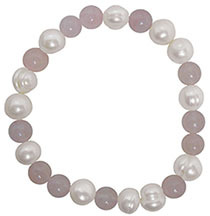 Item #WBL-FWP-B-7 : White & treated black baroque Fresh Water Cultured Pearl stretch bracelet. 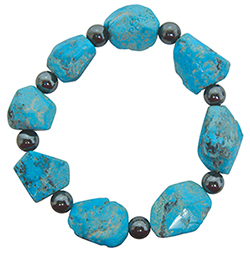 Fits 7"-8" wrist.